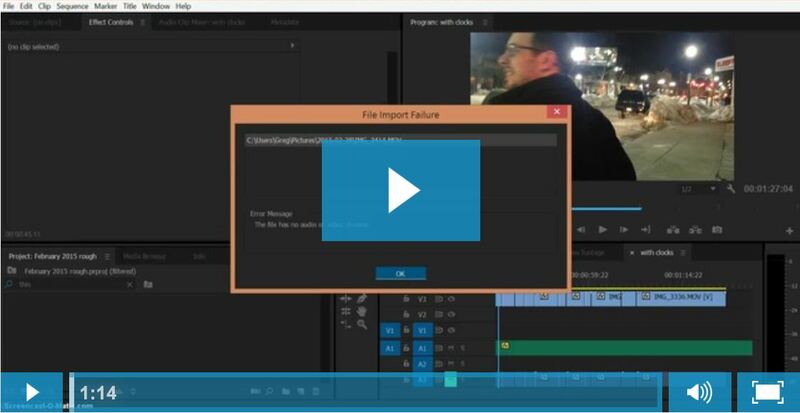 Adobe Premiere Pro might give you an error message like this below. It says that the file failed to import. This is actually a really easy problem to fix. For this video, I am using a Windows computer, but I am sure Apple has a movie program that can do this too. In this tutorial, we will see how you can fix this error message in less than one and a half minutes! Go to your folder to find the video clip that did not open. 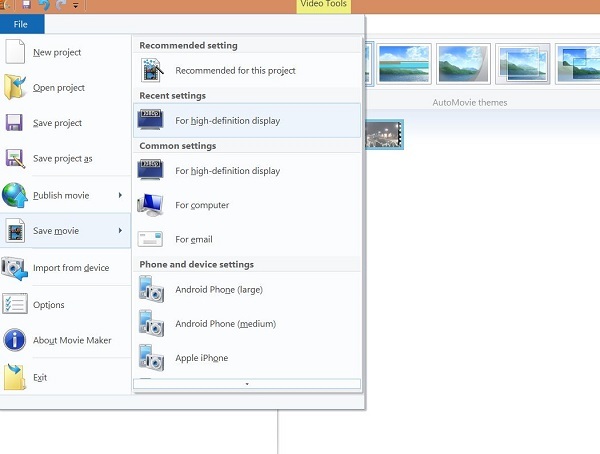 Once you find that video file, you will need to right click on it and select Windows Movie Maker. 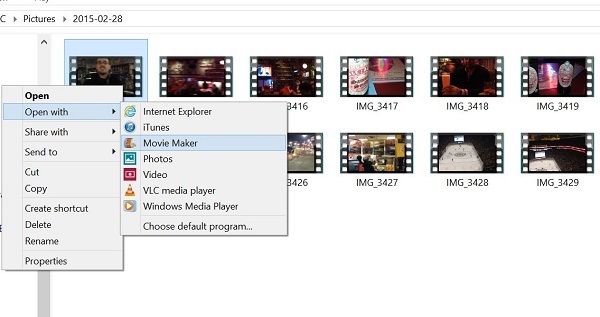 Now you simply go into Adobe Premiere Pro and import that new HD file that you just created in Movie Maker.